Posted: December 21, 2017 in Sports Racers, Who,What,Where & When...? Lionel’s car is a real weapon, a Rennmax, ‘the Big Bertha’ of all of the sportscars built by Bob Britton, powered by a Repco ‘740 Series’ SOHC Lucas injected, 5 litre 500 BHP V8. 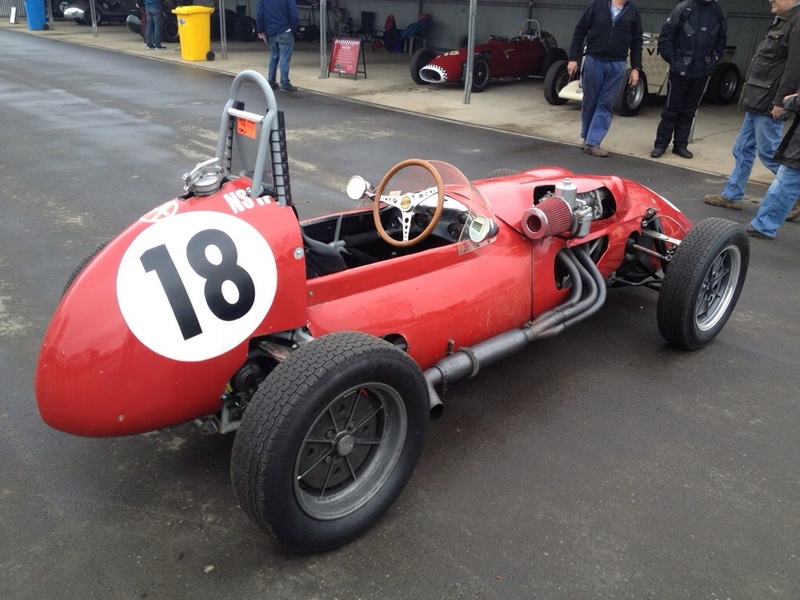 Stuart raced a Matich SR3 Ford into third place behind Henry Michell who was second in an Elfin 360 Repco 2.5 V8. 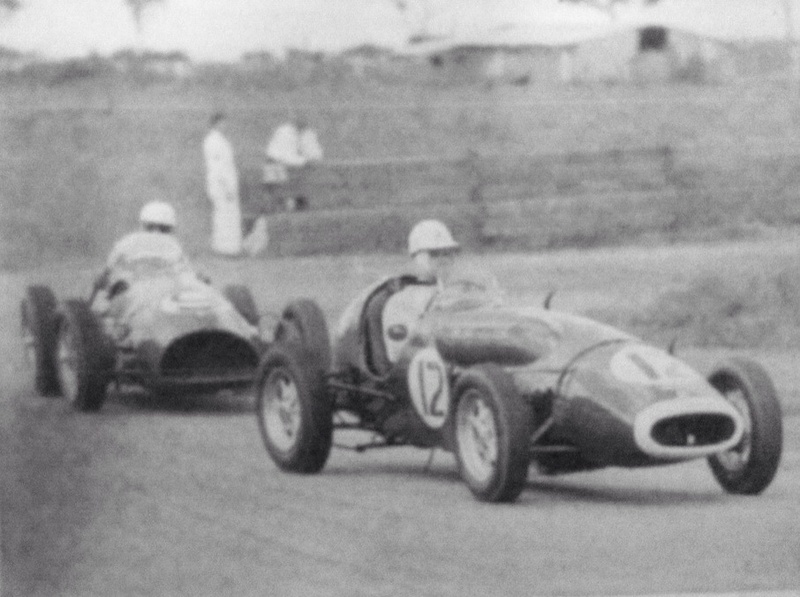 Both Ayers and Kostera were ‘sportscar stalwarts’, they raced two-seaters for a decade and more and all over Australia- not easy as Ayers was a Brisbane boy with Stuart from Perth. 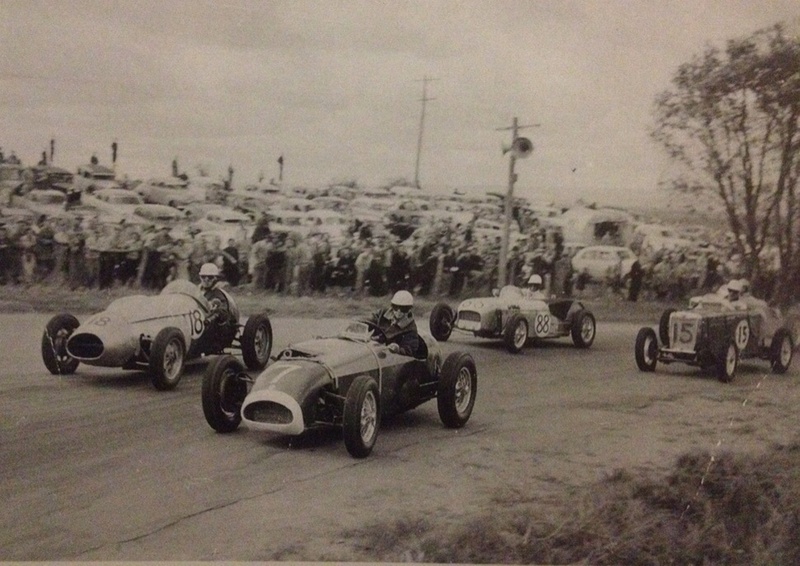 A majority of the motor racing in Australia is in the Eastern Seaboard states of Victoria and New South Wales so these blokes would have done a million miles over the years travelling from home base to chase the Tourist Trophy or ASC. As the name suggests the ASC was a national series, the distance from Brisbane to Perth and return for Ayers was about 8600 Km for example! Ayers cut his racing teeth in an MG TC and then progressed into single-seaters such as the Cooper MG and Lotus 20 Ford before racing the first of three Rennmax Engineering built sportscars over the next decade. 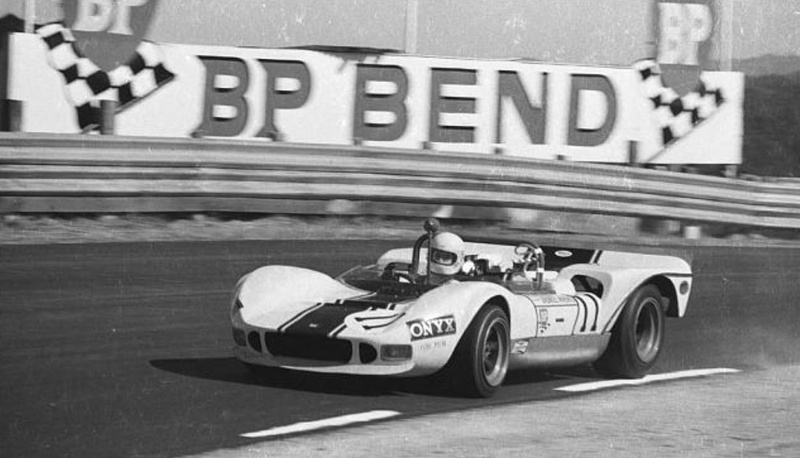 The first was the MRC Lotus 23B Ford in which he contested the 1966 Australian Tourist Trophy at Longford. Later came the MRC Mk2 Repco, the last the Rennmax Repco which used the Repco ‘740 Series’ 5 litre V8 and Hewland DG300 ‘box from the MRC Mk2. MRC ‘Motor Racing Components’ was Ayers company, which prepared the cars and part assembled them in Brisbane but the three cars were Rennmax built. Lionel was a pharmacist but he was also a pretty handy engineer. Star of the sportscar ranks at the dawn of the seventies, post the sixties ‘Matich Decade’ was John Harvey in Bob Jane’s superb McLaren M6B Repco. You could liken Harves to an Australian Mario Andretti in some ways, he was a champion in Speedway Midgets before hitting the circuits and was soon into single-seaters after an initial season in a Cooper S.
The shame is that he wasn’t in 2.5 litre Tasman cars earlier, that he never did a full Tasman Series (only the Oz rounds) and in the F5000 era Bob Jane popped the Bowin P8 to one side way too early. Sponsor, Castrol wanted Bob to run ‘taxis’, so it was tourers and sports sedans the team raced- and in which John excelled. Harvey won the ASC title at a canter in 1971 and 1972, the car only raced sporadically after that as the team focussed on Touring Cars/Sports Sedans. Bob of course still owns it. The South Australian ‘Elfin 360 Repco twins’, Phil Moore and Henry Michell won the ASC in 1973 and 1974 in two different chassis’. Garrie Cooper built two very clever cars there (three 360’s were built, the other for Bob Romano was Ford twin-cam powered). In essence they comprised spaceframe chassis sporties built of single-seater F2 Elfin 600E hardware into which he dropped (surplus to requirements with the advent of F5000) ex-Tasman Repco Brabham 2.5 litre V8’s and FT200 Hewland gearboxes. In so doing, he created two light, chuckable, circa 300bhp little rockets which were driven with considerable skill and brio. In 1973 Moore won the ASC convincingly taking four rounds, Phillip Island, Sandown, Symmons Plains and Oran Park, the latter a night meeting. I would love to have seen those cars, lights ablaze in the dark. Lionel won at Wanneroo and Adelaide International. The photo below is at the Sandown round in July and shows Phil diving down the inside of Lionel’s Rennmax at Torana/Peters Corner before the blast up the back straight where I suspect 5 litres of Repco V8 triumphed over 2.5 litres of it! Phil won the round mind you. The following year, 1974, Ayers again won two of four rounds, at Adelaide and Calder with Henry Michell taking the title in a year of speed and consistency. Garrie Cooper took the other two wins in ’74 in his new, epoch shifting, Elfin MS7 Repco Holden. This one off car was a mix of monocoque chassis and bibs and bobs from his F5000 MR6 parts book including uprights, wheels, suspension and brake componentry, Repco Holden 500bhp V8 and of course the ubiquitous DG300 Hewland transaxle. The car (below) was a crowd and sponsor pleaser, you can just make out the Ansett logo against the bare aluminium body on the nose of the MS7 which is making its race debut at Adelaide International, just down the road from Edwardstown, where the car was built. Its 25 August 1974, Ayers won the two ASCC rounds before the Elfin raced, Garrie won the other two at Phillip Island and Symmons Plains. In an unfortunate turn of events Lionel broke both of his arms in a low speed motorcycle accident after the first two rounds of the series, perhaps missing out on a title it would have been wonderful to see him win- mainstay of sporties as he had been. He promptly retired from the sport and sold the Rennmax but remaining close to the scene. A decade ago he did a brilliant job restoring the Mildren Waggott ‘Yellow Submarine’ made famous by Kevin Bartlett and Frank Gardner. He died in 2013 but his memory lives on in that wonderful car retained and used by his family. The Rennmax did achieve a national title though- after Lionel sold it. It passed through Melbourne’s Jim Phillips hands, he raced the car for a few years and then sold it to the ‘Racing Gibsons’ in Benalla. There, at Winton in 1979, with yours truly watching the race, I was contesting the Formula Vee support races that weekend, Paul Gibson won the Australian Tourist Trophy- from none other than Stuart Kostera in the Elfin MS7 Repco Holden. The presentation of the Australian Tourist Trophy to Paul was a very proud moment for father ‘Hoot’ Gibson, a racer himself who raised a family of racers! 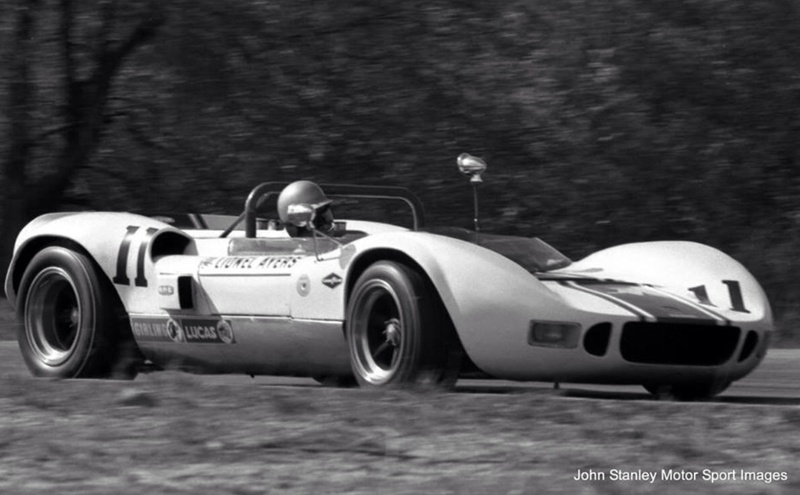 Kostera cut his racing teeth in sedans but progressed through an Elfin Catalina Ford to the Matich SR3- this famous car was ex-Matich and Don O’Sullivan- who finished 2nd in the 1969 ASSC in it behind Matich’s famous SR4 Repco. Stuart continually developed the car, 5 litre Ford, not Repco ‘620 Series’ 4.4 V8 powered as it had originally been to the stage that it won the West Australian Sportscar Championship in 1975 having finished second in 1972 and 1974. At national (ASC) level he was 9th in 1972 and 1973, 12th in 1974, and 5th in the single race ASC at Phillip Island in 1975, the winner Cooper’s MS7. He bought the MS7 Repco Holden from Garrie Cooper, running it as a quasi-works machine, the car mainly based at the Elfin works in Edwardstown, Adelaide rather than Stuart’s hometown of Perth. 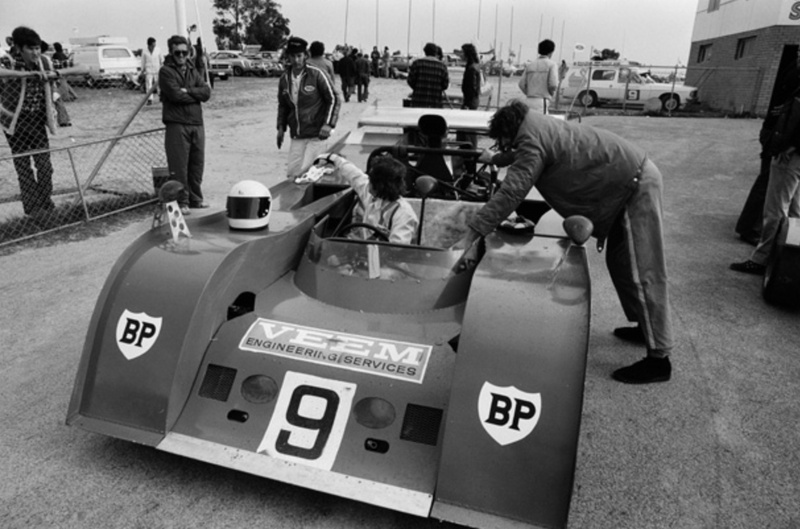 Kostera’s first big win in the car was at Phillip Island twelve months after Coopers MS7 victory in the one race 1975 Australian Sports Car Championship. Kostera won the 1976 Australian Tourist Trophy at the same fast, demanding circuit tailor made for powerful devices such as the Elfin. Kostera was a talented driver, I saw him race both the SR3 and MS7 at most of the Victorian circuits on numerous occasions, he always got the best from these big, demanding cars. The Elfin drive ended after Garrie Cooper’s demise in 1982. All of the cars mentioned in this article still exist, the MRC Lotus 23, MRC Mk2 Repco, McLaren M6B, Elfin 360’s, Elfin MS7 and Matich SR3. The Rennmax has been in Jim Phillip’s ownership (back to him post the Gibsons period of ownership) for decades, and will hopefully one day see the light of day outside the outer east of Melbourne garage where it resides. So too do the two 360’s mind you one of those has been in a garage not too far from the Rennmax for about the same time period! Greg is a gentleman (some would dispute that descriptor!) 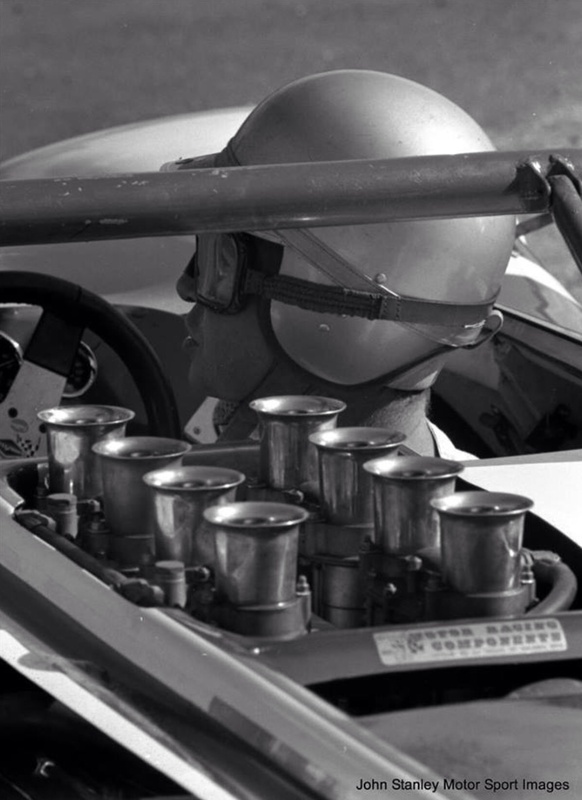 of a certain age, suffice to say he started competing before mufflers were mandatory and seat belts were worn at the drivers own discretion! 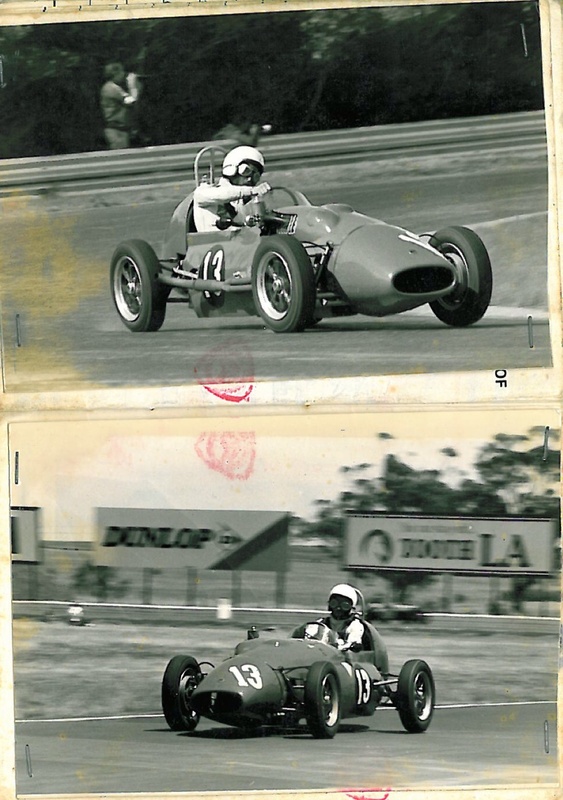 An historic racing engineer based in Bayside Melbourne, he has had a successful career restoring and preparing cars as diverse as a 1904 TT Maudslay to a 1967 Quad Cam Ford V8 Indycar. He lists his highlights as his years working on ERA’s and GP Bugattis, looking after a 6CM Maserati for a season and multiple preparation and management jobs at the Mille Miglia and Tour Auto modern classics. 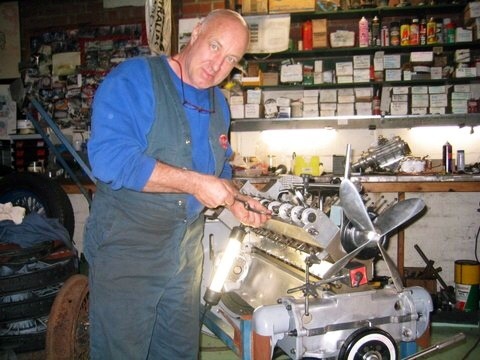 Greg has competed at , been a mechanic at, or team manager at, over sixty different venues world-wide, but declares his enduring passion as front engined ‘Australian Specials’ and local tracks. Definition: An ‘Australian Special’ is a racing or sports car, most commonly built by an impecunious owner/driver from gathered parts and assemblies, then engineered to reflect his own thoughts, abilities and intellectual property to the point where no two are alike and every one has its own hallmarks, eccentricities and foibles-unique vehicles indeed. In this trilogy I’ll write about three cars which have passed through, or remain in my ownership.They have given me great pleasure during my 40 odd years involved in Historic Racing and, as you will see, are all front engined and constructed prior to 1960. This amazing ‘giant killer’ of a little car started out life as an example of that most mundane genre of racing vehicle, a factory production car!! 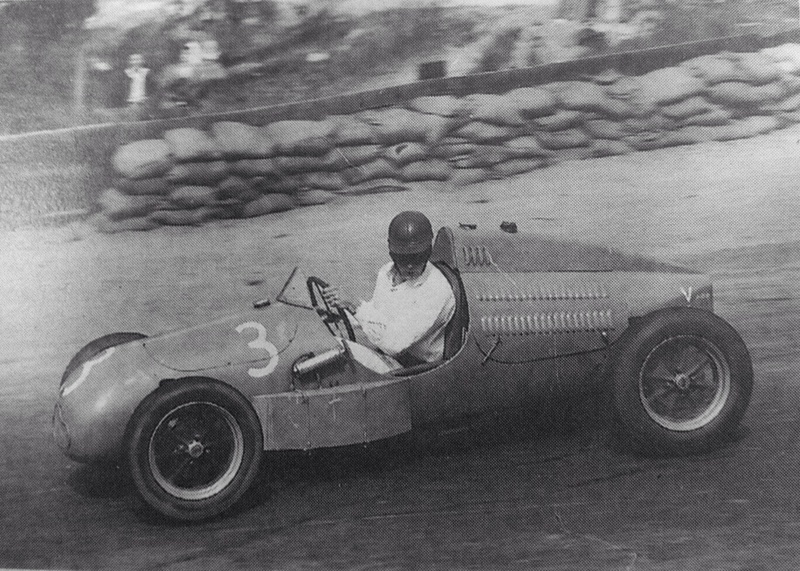 It was delivered as a JAP 8/80 engined long wheel base Mark IV Cooper and was a very early example, maintaining the forged Fiat Topolino 500 lower wishbones. 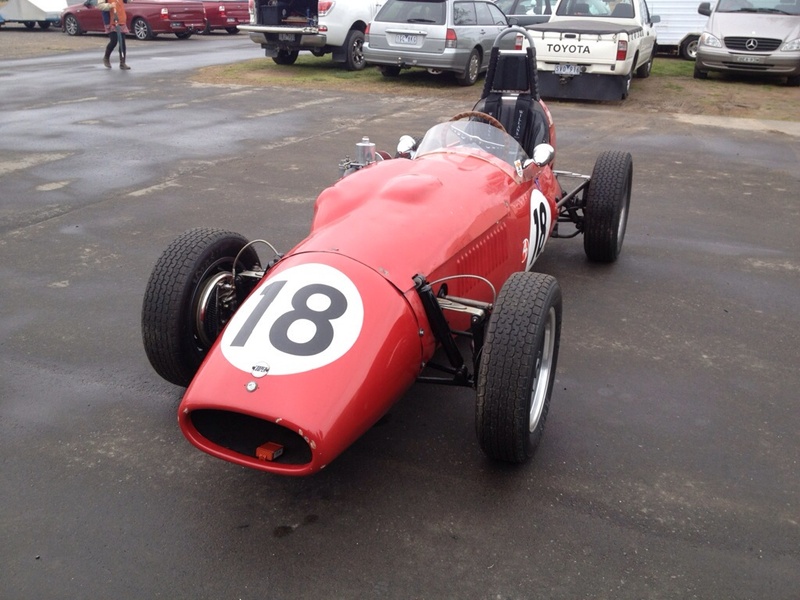 It was the factory demonstrator for Cooper Car Distributors in Melbourne, Australia and had some early success when lent to noted driver, Arthur Wylie. In 1952 it was sold to George Pearse of Sydney who ran it consistently for two years in its original form. So far nothing ‘Special’ about it. George, a renowned tinkerer and engineer, had other ideas though. The Cooper, although a light and sure footed mount, lacked the punch, power and acceleration of George’s previous car, a supercharged MG-TC square rigger which George retained. Why not an amalgamate the cars and get the best of both worlds, he thought? 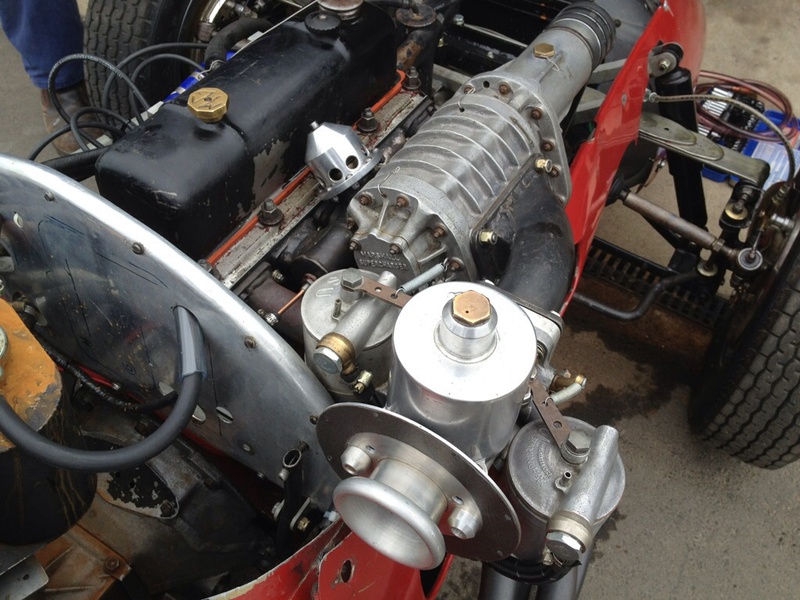 George un-bolted the J.A.Prestwich power unit from the rear of the chassis, shoehorned his blown MG-TC motor and gearbox into the front of it and moved himself rearwards!! A Ford V8 diff with a pre-war American style Casales three pinion drop box on the front allowed the driver to sit low and took the power out to the original Cooper drive and suspension. Brakes and wheels remained the same at 8” diameter and 15” diameter X 2 ½” wide respectively, the whole was clothed in a light weight alloy body of agricultural, but pleasing proportions. 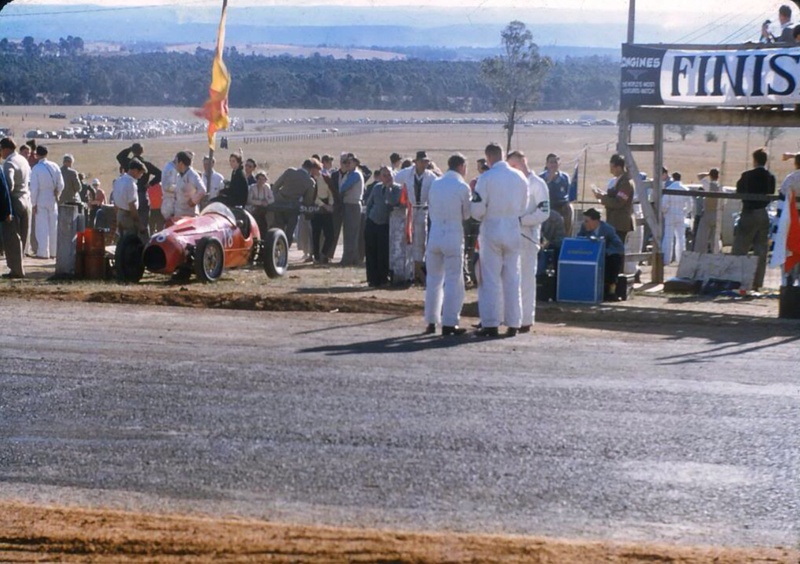 George debuted his new creation at Bathurst in October 1955 and lapped in 3:04.5, slower than the Cooper Bristols and the V12 OSCA, but still a contender on this oh-so-fast road circuit! 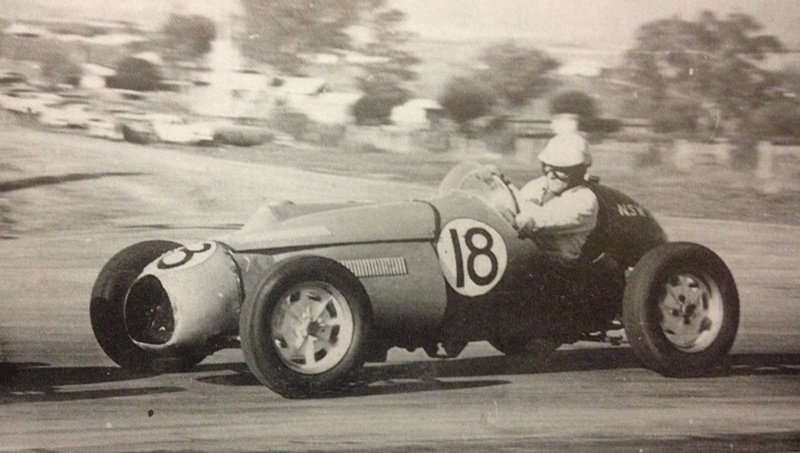 A ‘smack’ at the AGP circuit at Southport led to the sale of the car, in damaged form, to Sydney speedway exponent and Offenhauser guru Ray Revell. Ray set to and replaced the Cooper box chassis with a spaceframe of his own design whilst using all the remaining serviceable components and upgrading to a stronger Peugeot 203 alloy rack and pinion. 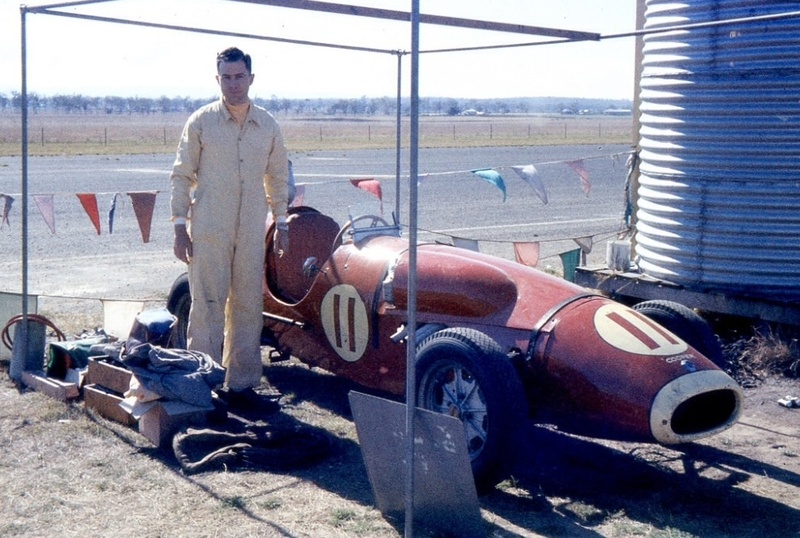 He had it back on song and entered for Bathurst in October 1956. Now looking like a true ‘Special’ it was within seconds of the big ex-Bira OSCA and the D type Jaguar. 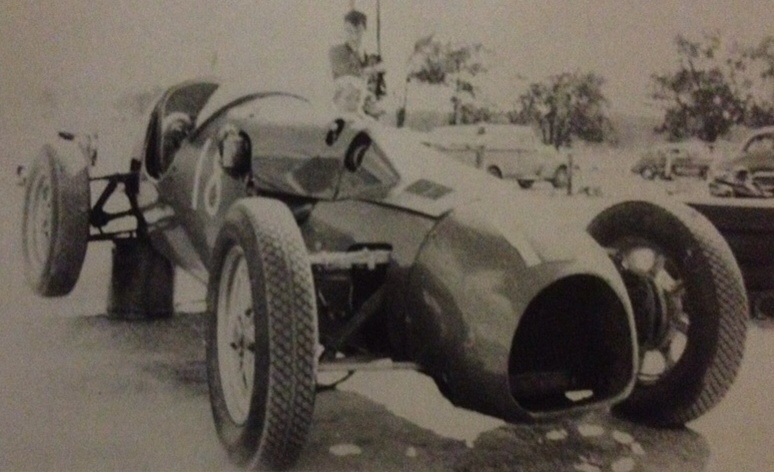 Ray eventually moved on to an Offenhauser powered Fiat and sold the car to up and coming Queenslander Lionel Ayers who lengthened the nose and added a more Vanwall type screen. 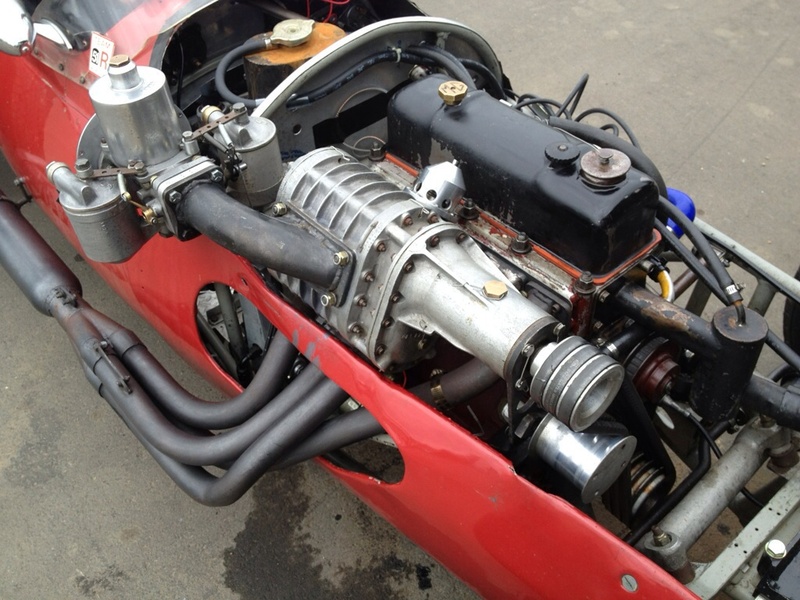 He also fitted a 1500cc XPEG engine with a steel crank, Italian Nardi conrods and a Laystall-Lucas alloy head. This was all fed by a new Marshall J100 blower set up to deliver 22lb boost. 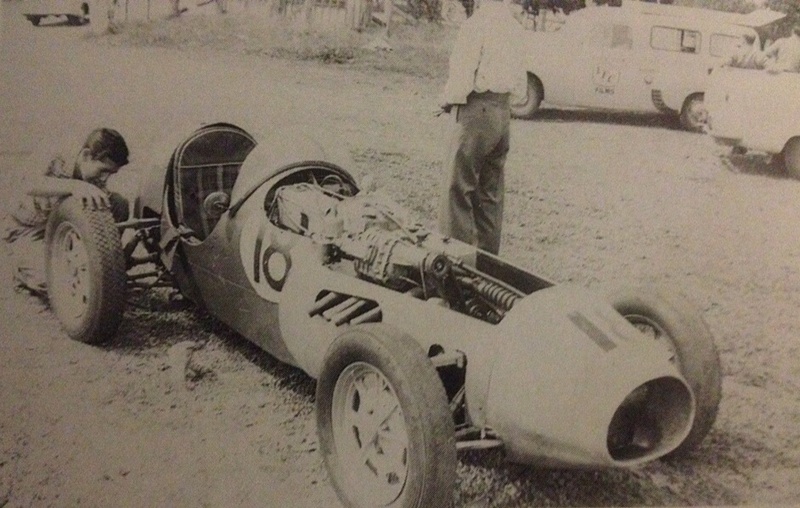 Ayers had great success with the car and raced it on equal terms with Jaguar D Type, Lotus 12, Repco-Holden and Ferrari cars. The car was fitted with the larger Cooper Bristol brakes and wheels when the donor car (the WM Cooper) got its disc brakes and wobbly wheels, and prior to its sale to Hugh Gilroy about 1962. Don Webster was the next owner and he did a prosaic re-commissioning of the car, running it in an emasculated form with twin 1 ¼’’ SU’s. It was in this form I first saw the car at the inaugural ‘All Historic’ Lakeside meeting in 1978. During after race festivities I asked if I could try it on for size and once I was in, I wasn’t getting out until a purchase was completed!! 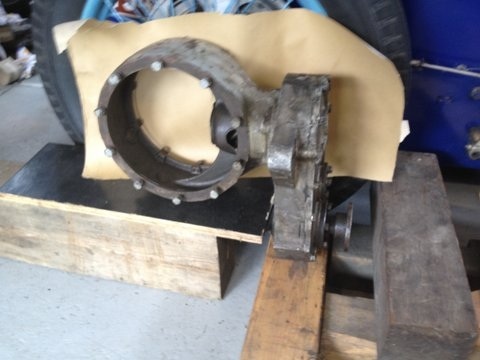 Imagine my delight when it was delivered to my home 1200 miles away in Melbourne when it was discovered that the garbage bag in the driver’s seat contained all the original supercharger, manifolds and drive which had not even been mentioned during our negotiations! A complete restoration commenced immediately and the car took me, and subsequent owners, Ross Hodgson and Brian Gerrard to many victories in the ensuing days of historic racing in this country. The car is still extant in slightly modified form but new owner, Graeme Louk, is enthusiastically returning it to its correct historic specification and recently had his first outing with it to great acclaim by all as it was 22 years since its last appearance. From a handling perspective the car had early ‘Cooper flop’ side to side with negative/positive camber change but if you divorced that seeming death wish from your left brain and just drove the car, it handled very predictably. The 10″ brakes were superb and initial understeer could easily be overcome by power application. The supercharged engines torque was adequate and with only 3 1/2″ rims running Dunlop 4.50-L- 15 tyres, wheelspin and grip had to be closely managed, not the least reason being the cost of tyres! The best, and most memorable feature of the car was being able to go one gear deeper into a corner, and brake one marker later than cars it competed against. This delivered rewards time after time. Chassis; a lightweight centrally disposed monoposto spaceframe front engine racing car. Suspension; All independently sprung using transverse leaf springs centrally located on bolted towers of the early type but not modulated in roll by the later roller support system. Front lower wishbones are Fiat Topolino. The top shocker points were relocated by me from under the spring in 1978, the original front sway bar is still fitted. The rear lower wishbones are Fiat Topolino with the original light series 1100 Hardy Spicer shafts increased to 1300 series. The original style rear sway bar is fitted to the car. My last dyno sheet from 1978 says we achieved 142 BHP at 12 lb boost and 9.3:1 static compression but I think camshaft technology will have eclipsed that figure, although it was sparkling in the day. ‘In period’ the car ran stub exhausts but an extractor system and muffler are now fitted for modern competition. The original panels include the tail, sides, bonnet and the later model fibreglass nose. A driver roll over bar and seat belts have been fitted. Look carefully in the first two minutes of the footage for Pearse’s elegant, red, Cooper MG #18 which appears quite a few times.